IN A NUTSHELL: The first subcompact (B-Class) SUV/CUV from Lexus, but, IMO, would be better-suited as a Toyota. 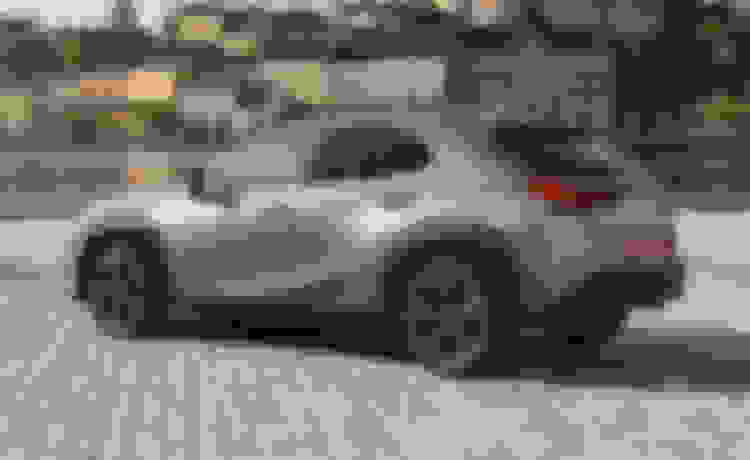 CLOSEST AMERICAN-MARKET COMPETITORS: Infiniti QX30, BMW X1 (Those two are probably the two directly-closest in the American market, but there are a number of others that are either in the same size-class and less-expensive, or just slightly larger, in the compact class. 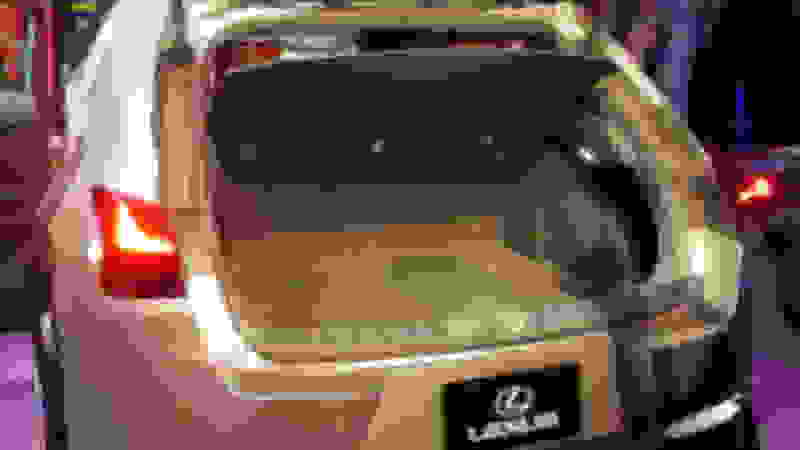 While compact (C-class) crossover SUVs (sometimes known as "CUVs" continue to be among the most widely-selling vehicles today in the American market (see my recent review of the redesigned 2019 Toyota RAV-4, which is now in third place nationally in the U.S. market behind the F-150 and Silverado pickups) the one-size-smaller, B-class CUVs are also rapidly rising in both popularity and availability. 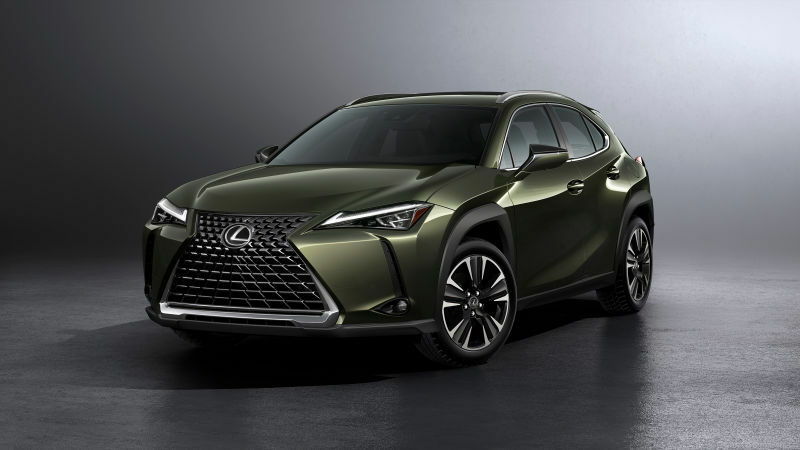 Ford, Nissan, Toyota, Honda, Mazda, Kia, Hyundai, and others now offer models in the low-priced range, with a few in the upmarket/luxury class like the new Lexus UX. These appeal mainly to those who want a vehicle with small outside dimensions, good fuel economy, good maneuverability for parking, all-weather traction, and a higher-than-sedan ground and seating stance, all at an affordable price. Unfortunately, at least in my experience and test-drives, most of these vehicles also have tended to have significant limitations, particularly in interior room, power level, ride quality, ease of entry/exit (particularly in the rear seat) and in the general level of driver and passenger comfort. The Ford EcoSport, with its more conservative boxy styling, has a little more room inside then some of the others, but, it too, is no luxury vehicle....It gets you from Point A to Point B as basic transportation and little else, particularly in the base turbo-three-cylinder models. These vehicles have recently been, not in all, but in many cases, gifts from parents to their college-students as entry-level vehicles for them if they are going away to school, particularly in a snowy northern climate where they will need the winter traction. That is, of course, proving the student is not 7 feet tall and is going to be on the school basketball team LOL. So, limitations or not, is is easy to explain the rise of these sub-compact CUV vehicles, just like it is the even more popular compact ones. Among luxury and/or upmarket brands, in the American market, BMW has already gotten in on this size class with the X1, Infiniti with the QX30, and Buick with the Encore, which is actually a rebadged German-designed Opel Mokka....though the Encore's very tall roof helps out some with the interior room. Others, such as the Volvo XC-40, Audi Q3, Mercedes GLA, Jaguar E-Pace, Lincoln MKC (a favorite of mine), and the Cadillac XT4 are not really in the subcompact SUV class.....they are generally in the compact class. 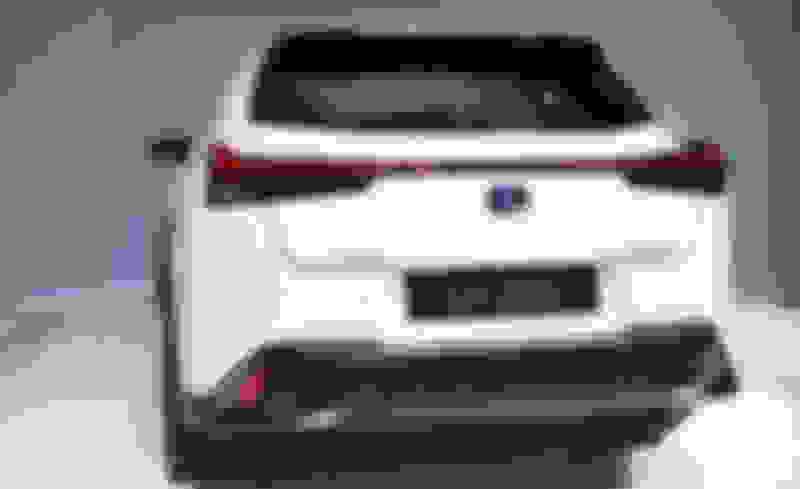 Lexus, of course, already has the compact NX crossover SUV in its lineup, which debuted a few years ago, and the tremendously successful mid-size RX, which has been extremely popular ever since its 1999 introduction. So, the next step was, obviously, to design something one size smaller, in the subcompact class...and Toyota's CH-R, of course, gave them the platform to do so. The UX is one size smaller than the NX, and is, as I write this (early January 2019), just starting to reach dealerships here in the D.C. area. Most, but not all, of the models in stock appear to be UX hybrids, as that is the only way you can get all-wheel-drive on the UX (more on that later). I did not see any F-Sport models in stock, but they will probably be coming soon. For 2019, in the American market, the UX comes in UX200 FWD ($32,000), UX200 Luxury FWD ($37,200) UX250h Hybrid AWD ($34,000), UX250h Luxury AWD ($39,200), UX200 F-Sport FWD ($34,000), and UX250h Hybrid AWD F-Sport ($36,000) versions. Gas versions come with (as the moniker would suggest) a normally-aspirated 2.0L in-line four of 169 HP and 151 ft-lbs. of torque. and a 10-speed Direct-Shift CVT transmission.....apparently the "Continuously-Variable" part also has 10 pre-programmed ratios. It is set up to mimic the start-up characteristics of a regular torque-converter automatic. The Hybrid models use the same non-turbo 2.0L four and a permanent-magnet electric-drive motor, for a total system 181 HP, and a conventional CVT (Continuously Variable) transmission, without steps. Toyota/Lexus, unlike some other manufacturers, doesn't break down the individual power ratings or RPM-peaks of its hybrid components. No gas versions are offered with AWD (a marketing error, IMO).....you must get a hybrid version for power to all four wheels. 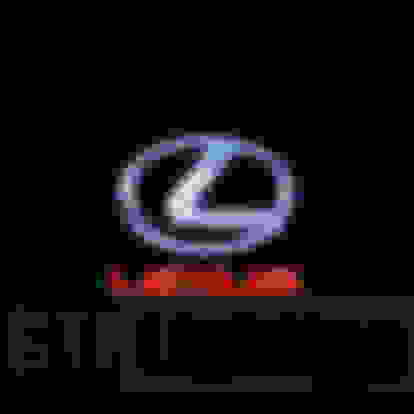 And, like with some other Lexus F-Sport models, that option, on the UX, does not affect the drivetrain or engine power......only interior trim and some chassis/wheel modifications. In fact, according to the spec-sheet, on the UX F-Sport package, you don't even get different wheels or tires.....it is just different-color seat-options, a blacked-out dash, and some suspension mods. I see little sense in purchasing it, unless you just like those nice burgundy-red seats and/or a little more stiffness in the ride/handling. As usual, before a test-drive, I did a static review/inspection, in and out, of a couple of different versions, but, after doing so, decided not to do a formal road test...I'll explain in detail later. Slick paint job in the Toyota/Lexus tradition. Nice wide choice of paint colors....but the bright blue is somewhat restricted. Protective lower-body cladding all around helps protect the paint. Good assembly quality.....appears well-screwed together. The usual good Lexus fit/finish. First Aid Kit in the cargo area. Excellent NuLuxe imitation seat leather. Better headroom than I expected. F-Sport option apparently doesn't include much. Quick-wearing performance run-flat tires on all versions. EL-Cheapo, bean-counting interior trim materials....especially for the price. Poorly-finished cargo area for the price. Somewhat awkward finger-touch pad for the video screen. Awkward stereo controls on console-pod. 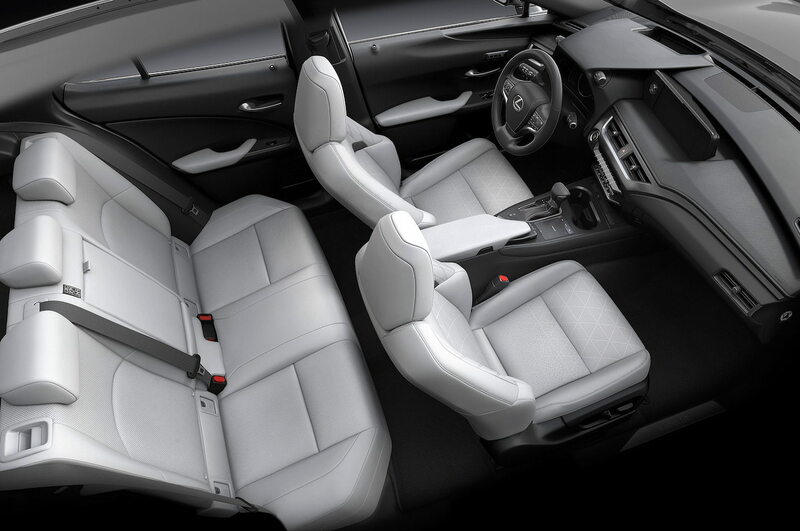 The exterior of the UX, by Lexus standards, is nothing out of the ordinary....its overall body shape, large spindle-grille, headlights, and rear end pretty much identify it as the baby member of the ubiquitous Lexus crossover SUV group, though it lacks the rear "floating roof" effect of the RX. As with most Toyota/Lexus products, the paint job is slick and first-rate, one of the vehicle's best features. Even the black paint, a notoriously hard color to do smoothly, was virtually free of orange-peel...I could only detect the very slightest hint of it, very close up, with my glasses. Also one of its best features is the general way it is screwed together....the exterior trim is impeccably finished and attached, though one sample I looked at, on the chrome window-surround, appeared to have a bad dark-colored stain from a burn or something similar. I liked the relatively wide choice of body colors, though one of the nicest IMO (the bright electric blue) is not available across the board. One of the hybrids I looked at was painted a nice olive green....not necessarily my favorite shade of green, but it's nice to see greens returning that have been neglected for so long. The sheet metal was rather thin, as on most new vehicles, but all four of the doors, and the rear hatch, shut with a reasonably solid thunk, though the hood didn't feel or sound particularly solid when it shut. I liked the vehicle-surround black plastic cladding, which, even though it may look cheap, comes in handy protecting the lower-body and wheel-wells from damage from road-debris...this surround-feature is found on most smaller crossover SUVs/CUVs. Up front is (what else)?...the ubiquitous Lexus spindle-grille, which some like and some hate....I tend to be one of the few neutrals, even though I don't particularly like the shape. The grille, however, particularly on the Hybrid model, has a honey-comb-like lattice of hundreds (and I mean hundreds) of dark gray plastic bulges that, though quite well-finished and pleasant to feel, would probably make it quite difficult to wash (I do my own hand-washing, and am sensitive to things like that). All versions, from what I can tell (even the F-Sport), come with 18" alloy wheels and run-flat tires, so, of course, there is no spare or compressed-air-bottle. Lift the hood (you must fumble with a manual prop-rod, even on this Lexus product), and you will at least find an underhood insulation pad, something that Toyota left off the new RAV-4. The engine compartment, for a vehicle this small, seems rather well-done, and, even on the Hybrid model with its double gas/electric motors and CVT transmission, the hardware fits in reasonably well, with some room to actually reach a few things. The engine cover, of course, blocks some of the top-access, but there is at least some room to reach things on the side. 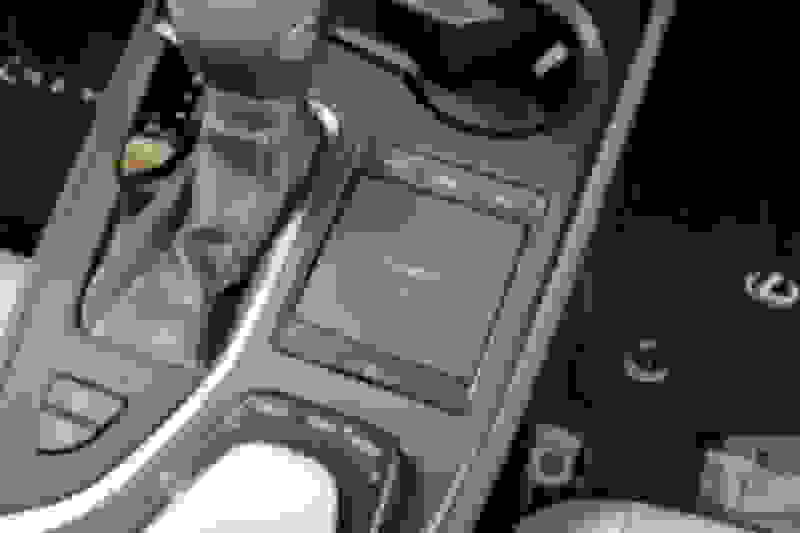 All of the dipsticks, filler-caps, and fluid-reservoirs, as on most vehicles, are relatively easy to reach. The interior did have a few nice things about it, so I'll describe them here, before you Lexus folks start tossing rocks at me for what I'm going to say about the rest of the interior. The NuLuxe imitation seat-leather is always excellent....one of my favorite Lexus features (I'm sure the cows would agree LOL). It's really hard to tell the NuLuxe from a good-quality grade of supple leather. In general, the two-tone interiors, particularly with the white, looked somewhat better then the all-black (I'm generally not a fan of coal-mine interiors). 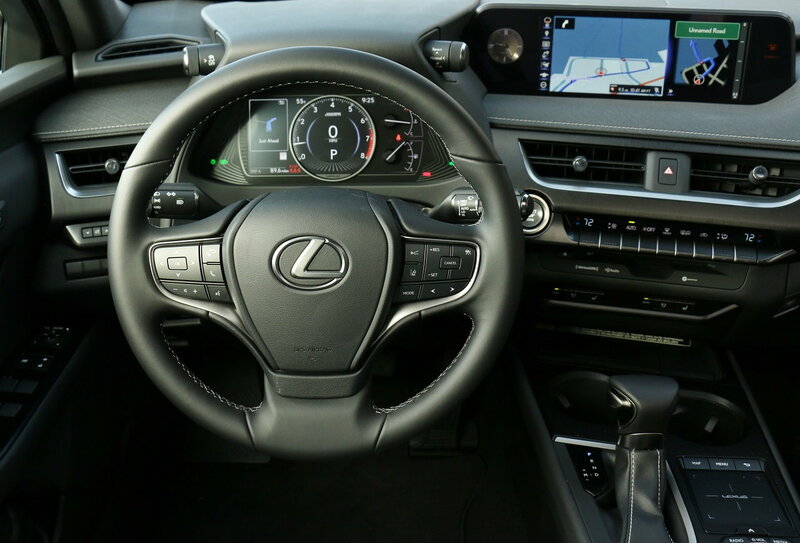 I also like the way that Lexus does their steering wheels.....even though the NX lacks the wood-steering-wheel option found in some other Lexus products, it is still shaped nice, has nice leather on the rim, and feels pleasant to hold. The wide video-screen panel has a nice analog clock. The sun visors, instead of the usual hard plastic, have at least a nice black felt-covering on them. And here was a little more front and rear headroom than I had expected from a vehicle this size. But in the rest of the interior, IMO, it was obvious that the bean-counters had a field day with it....and I don't know what some of the designers were thinking when they designed some of the controls. Aside from the nice things that I just mentioned, IMO this interior is not worthy of a 33-40K vehicle. The door panels are probably the worst offenders....acres of hard, cheap black plastic and other materials (apparently the same material as in the base RAV-4), with virtually no pleasant soft-touch materials on the at all. The dash, and console, likewise, have bargain-basement materials, with black plastic trim and panels, and no option for any nice wood-tone, imitation carbon-fiber, or even aluminum to make a nice contrast. The top of the dash has a thin felt-like substance to it, but even that, IMO, felt cheap. A couple of rotary-***** (one of them for the drive-mode) stick out of the upper-dash area, sideways, behind the wheel, like Mickey-Mouse ears. The rear seats, especially with the front seats adjusted back for tall people, have essentially Munchkin-legroom...and, despite the adequate headroom when inside, you have to be almost Munchkin-sized to get in and out the for openings easily. Tall people have to drop their head and neck way down, lean forward, and almost become a pretzel. The glove box had the usual very thin plastic found in other recent Toyota/Lexus products, but at least, on the samples I saw, it had a reasonably solid latch to click it shut.....I've seen some new Toyotas where it would barely hold at all when you shut it. The video screen is operated by a small square finger-touch pad (Lexus has ditched the mouse-type controller for the screen that it formerly used). Just imagine using that on a bumpy road, with your fingertip bumping around). 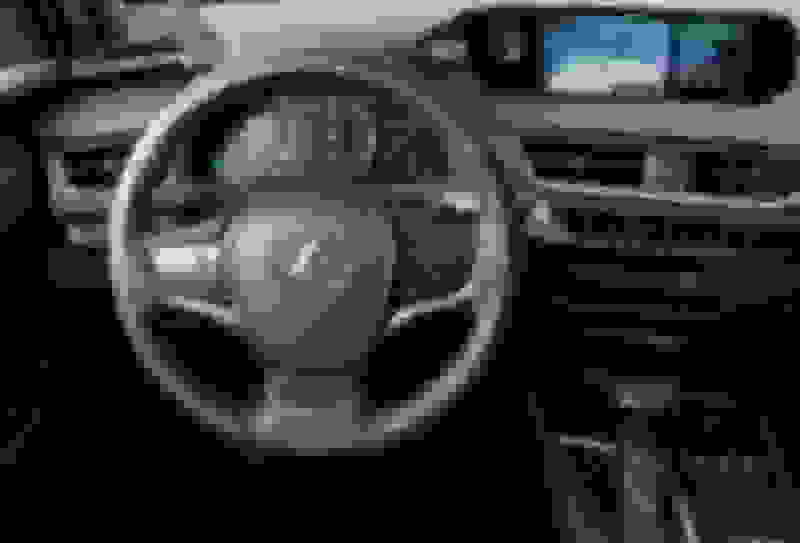 The stereo controls, IMO, border on ridiculous.....they are mounted on a small, flat, black-plastic horizontal, curved, pod that sticks out below the arm rest/center, with tiny black thumb-wheels. Again, just try and use them on a bumpy road. A row of almost a dozen horizontal, identically-shaped buttons, and another smaller horizontal row under that, mostly used for climate control and a couple of other functions, line the center-dash under the reply-recessed screen. The steering column, though manual tilt/telescope, lacks a power tilt option.....and, even in the full-up position, forces people with large heavy legs, like me, to lower the drivers' seat cushion all the way down to the floor so that one's legs can get in and out, and/or have room for the wheel so that their knees aren't bumping it while driving. I did not get a chance to sample an F-Sport interior (none of the D.C.-area dealerships have one yet)...but, as I mentioned above, from the brochure and specs, I see little difference from the others, outside of burgundy-red seats and some minor differences in dash trim. Last, rearward and rear-quarter visibility is not good, due to thick D-pillars and a small rear window in the hatch-lid. So, while, yes, there are some good things inside, overall, the designers get a D for the interior...IMO, it's back to the drawing board. Open the rear hatch, and the cargo compartment, like the interior, is not well-trimmed. There is a thin, felt-type fabric/carpet on the floor, and hard black-plastic walls. The ones I looked at had the traditional Lexus First-Aid Kit, which was at least one nice touch. There is a reasonable amount of cargo-room for a vehicle this size, and the rear seats, of course, fold down to make extra room. But it's still clear that this is no Chevy Suburban, so don't expect to haul large or bulky furniture items...you'll simply have to move up to a larger vehicle for that. Although it comes with a cargo-cover to hide your belongings from prying eyes, the cover, IMO, is a joke.....essentially a piece of framed black fabric-cloth (not even a hard substance) that feels like it will rip if you so much as run your fingernail on it, and it is secured to the hatch-lid with a couple of very small loops that are awkward to attach. Under the floor is a pull-out, gray styrofoam multi-compartment, and, under that.....mostly air, due to the run-flat tires, with no temporary spare or even a compressed-air bottle. Like the interior, the designers get a D for the cargo area. Well, folks, toss all the stones you want at me, but, by the time I had finished looking at a couple versions of the UX, while I do admit that there are some nice things (and I listed them), I was disappointed enough with them that I saw little point in even bothering to go inside and get a dealer-plate for a formal test-drive, much less bothering the reps for nothing if their rules make them ride along with you (as is sometimes the case). It would, IMO, have been a waste of time...I knew that I probably wasn't going to recommend this vehicle to many, if any, potential customers, nor would I probably send them many customers for it. Of course, some people may be willing to overlook the vehicle's faults....even for a 40K price, and I'm sure that some of you, on the forum, will purchase or lease one and be happy with it....more power to you, and I respect your opinions. 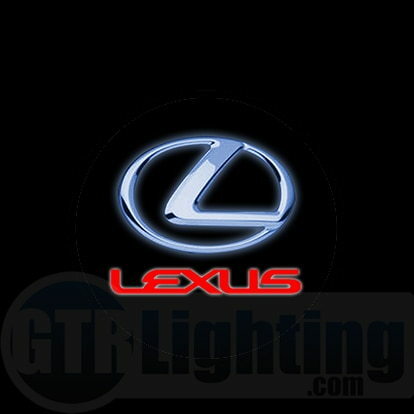 I, though, in my honest opinion, even without a test-drive, do not feel this vehicle is worth what Lexus is asking for it. Like my opinion of the Lexus CT200h some years ago when I reviewed it, I feel that this vehicle would be better-marketed as a Toyota, with a Toyota price. I also feel that the lack of a AWD option in the non-hybrid, gas-powered version is a serous marketing oversight. Indeed, for the money that a 38-40K UX Hybrid costs, one could go down the street to the Toyota shop and get a nice Limited or Adventure-level 2019 RAV-4, with significantly more room inside, a lot more comfort, and a lot more value for the money, dollar-for-dollar....and maybe even get back some change to keep in the bank. Or, of course, look at any one of the RAV-4's several excellent competitors. Of course, I do most of my reviews by request, and, if any one of you, for any reason, still want me to do an actual test-drive, I can always go back and do one. More of them will probably be coming into the D.C. area with time.......maybe even some F-Sports. But, in general, my opinion is that you can better spend your money elsewhere. Last edited by mmarshall; 01-03-19 at 08:07 PM. You really should test drive it to get the complete experience with this model. That is just my opinion. I am stunned at the cost of this model for what you get is essentially a top end Corolla power train with the 2.0. Very strange to see a car of this price point with just 169hp. As for the interior, I like the design. Can’t stand the idea of a track pad tho. It is very strange that this car is getting such stellar reviews and people on this forum seem to overlook the obvious of the power train. Come now. You yourself said that this is a small car. In a small car, you must expect small-car interior room, small-car power, small-car entry and exit conditions, and small-car comfort. You cannot expect larger car room and comfort in a small car. I know that you are not a fan of smaller cars but there are people -- perhaps more Europeans and Canadians (especially Quebeckers) than Americans -- who prefer smaller cars, if only for their lower operating costs and better maneuverability. We just came back from vacation where we rented a compact Hyundai Elantra, and aside from the uncomfortable driver's seat (not due to the size of the car but rather the design of the seat itself and compromises no doubt made to the seat in order to manage costs), it was a nice change from the rather large Honda Accord and Lexus ES that we drive here at home. It was so easy to drive because of its smaller size. I would be willing to pay for a bit more for a small car if I can find one that had some more adjustability in the driver's seat and steering wheel. "Hard plastics" matters much less to me than being able to sit comfortably behind the wheel. That's basically why I said that IMO it would be better-marketed as a Toyota, at a lower price. The interior, visually, isn't terribly bad-looking, especially with the white seats. But, aside from a few nice touches, it's mostly Cracker-Jack materials, crampness, and oddly-designed controls. I also know that you do not like hybrid models, which explains why you believe that the lack of AWD on the UX 200 is a marketing mistake. I believe it is not a mistake but done deliberately, to try to attract more buyers to the UX Hybrid model. The reviews that have been done seem to agree that the Hybrid model is the one to get, both for the greater power compared to the gasoline-only model and the availability of AWD. Well, I've said, in my write-ups, that I was larger than the average American. But I'm not going to lie and say that something is roomy for me if it's not. And I am no stranger to smaller vehicles....I once owned a Toyota Tercel (as a second, winter car), which I kept for two years and traded it in on a Saturn S-series. Now, there was one small car I really liked....but even it, in some ways, had more room inside than the UX, particularly up front. The last couple of Accords, I believe, have actually shrunk a little, back to mid-size....at one point, after growing for many years, it was on the border of being considered full-fixe. The UX, for me, did take some time to even get remotely comfortable....and I had to drop the seat cushion way down for my big legs to clear the steering wheel rim, which made for an uncomfortably low seating position. 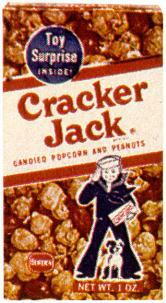 I have always found it odd that you use "Cracker Jack" to describe low quality, when the accepted definition is something of high quality. 1. a person or thing that shows marked ability or excellence. Obviously one is forced into the Hybrid for the AWD traction. Not everybody wants a Hybrid, though, for a number of reasons. Some simply don't believe that burning gasoline is evil, others would prefer a less-complex vehicle, and others would prefer the lower price. I may be wrong, but I think that the UX is the only vehicle in its class that does not offer AWD with a gas engine, though some don't offer it with the base gas engine simply for lack of power. With the added weight and drag of AWD, they would drive like slugs. Some of them, I have great respect for. True, I did not like any versions of the Toyota Prius or the 1Gen and 2Gen Honda Insight (or the 1Gen Chevy Volt), but some of them are much better than others. The 3Gen Honda Insight, for example, is far better than the 2Gen, and the Lexus LS600h is probably the finest hybrid I've ever seen. Last edited by mmarshall; 01-03-19 at 08:39 PM. It's an old automotive term (which may not be reflected in wiki) used to describe cheap materials. The term also comes from the old Cracker-Jack snack-box, where a small cheap (and sometimes flimsy) toy was stuck inside for the kiddies. I agree. Toyota has made awd on the hybrid deliberate. There is not much of a fuel economy penalty on the hybrid vs the gas model if it were to add awd. In Japan, the 2.0 Corolla Matrix can be purchased with awd, so the option does exist in some places for that motor. We got the AWD Matrix and its Pontiac Vibe rebadge here in the U.S., for a number of years, until GM canned Pontiac, and Toyota pulled the AWD version (and eventually, all versions) of the Matrix out of the U.S. market. Toyota did so, of course, because the RAV-4 was eating it up in sales. I'm not saying my opinions are always right (I'll be the first one to admit they are sometimes wrong)....but I still see little sense in forcing people into the Hybrid for the AWD. I think it is going to hurt sales....plus the fact that most buyers of vehicles of this type usually aren't looking for FWD to start with. Motor Trend, BTW, also agrees with me. 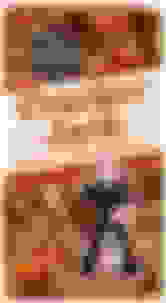 Last edited by mmarshall; 01-03-19 at 08:51 PM. ^^ Kinda irrelevant at this point. You were talking, though, about the Japanese 2.0 Version being of the Matrix available with AWD. All the more reason, IMO, to do the same for the American UX version. We'll see, though, if the lack of an AWD gas version hurts sales here. Only time will tell. Even over and above that, I think that when a lot of people compare the UX to the RAV-4, especially the top-line Adventure and Limited trims, it will usually be the Toyota shops that get the sales. True, the C-HR, not the RAV-4, is Toyota's size-equivalent of the UX, but the C-HR, IMO, shares some of the UX's same faults. Last edited by mmarshall; 01-03-19 at 09:26 PM. This comment is irrelevant to this discussion. The point is that I find our Honda Accord to be large, and the Elantra, in comparison, was a refreshing change because it is smaller and thus easier to drive.